Depending on the crime you have been charged with, you may find yourself under federal jurisdiction rather than that of Nevada. Various circumstances could lead your case to be handled by federal prosecutors rather than state ones. At our Las Vegas criminal defense law firm, Guymon & Hendron our lawyers can provide you with aggressive, effective criminal defense representation regardless of if your case proceeds through the federal court system or the state system. Why Would My Case End Up In Federal Court? Federal authorities might also handle a case if more than one state is involved. For example, if a person is allegedly kidnapped in one state and then brought to another state, that could lead to federal charges in the case. Federal sentences also differ from those at the state level in that there is no federal parole as there is in the Nevada state system. This could result in more time spent behind bars upon a conviction. 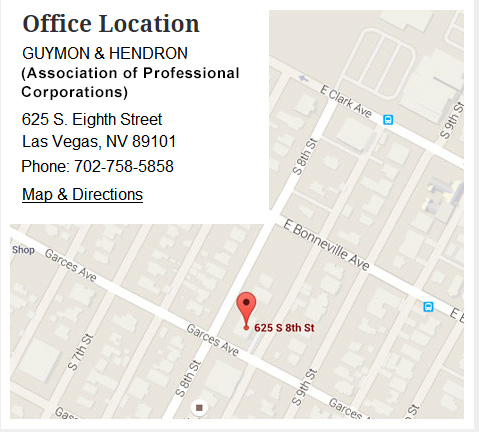 Regardless of how your case might be prosecuted, Guymon & Hendron can assist you. Contact our Las Vegas office by calling 702-758-5858. You may also contact us through our online contact form.